Since getting back to the gym and running again, I'm obsessed with buying gym gear. I hear it's a 'thing' among gym bunnies...but there are practical reasons for it too because if I'm working out or running 3-4 times a week it's not easy to turn around kit in the laundry fast enough. 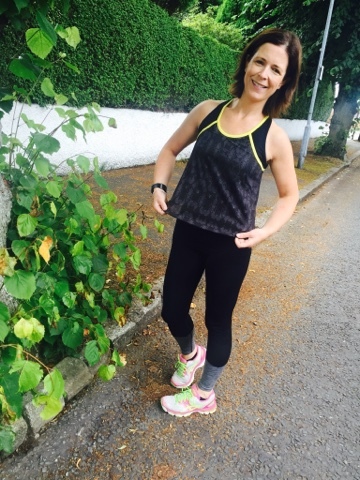 I've never been approached by a fitness clothing brand before so I got very excited when Jo from Ilu Fitwear contacted me to see if I'd like a new top and leggings for my summer runs. 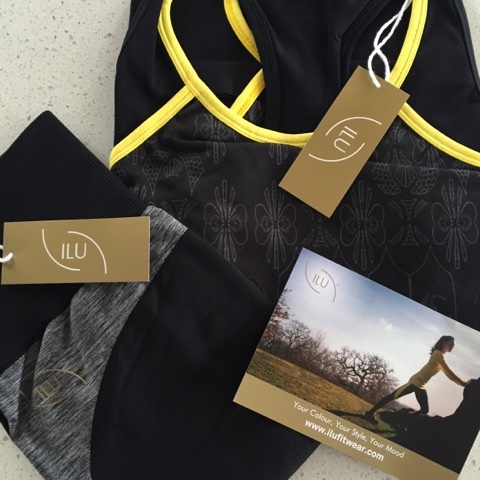 In case you've never heard of them before, Ilu (Estonian for beauty) Fitwear is passionate about designing exercise wear which lifts your mood, suits your lifestyle and makes you look fabulous. Based in Surry, it is run by a small team of women who put great customer service with a personal touch top of their agenda. Most importantly, the kit Ilu Fitwear sells is excellent quality but not extortionately priced. I've found (as with most things), you get what you pay for with gym gear but there's no need to spend close to £100 for leggings. Equally, paying £15 for leggings is a false economy when you wash and wear them so often. I've had to throw out 4 pairs of supermarket running tights in the past month because they are sagging/see-through/coming apart or falling down - such a waste of money! 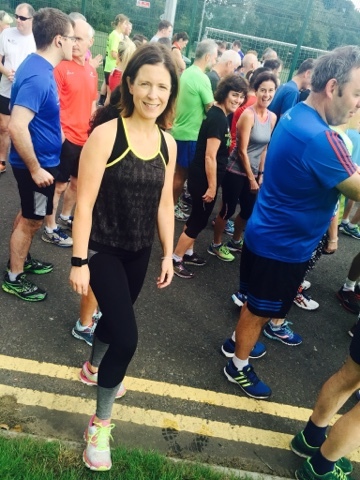 The leggings are right up my street in terms of colouring - most of my other running kit is grey and black in the main so they will mix and match well with all of it. But I also love the different textures and fabrics on these, which add a bit of interest. I ordered the size S/M and I have to say they did look small when they arrived but they have incredible stretch and a super high waist so I didn't have to worry at all. They also don't go transparent when stretched, which is crucial! They were a joy to wear, didn't budge on my legs and are thick enough to disguise lumps and bumps. Yet, they are quite light to the touch so I hardly knew I was wearing them. I've a couple of other pairs of leggings that I paid similar money for and they don't come close to how great these leggings feel on. The little touches like mesh detail below the knee and the contrasting grey on the calf are the icing on the cake really. 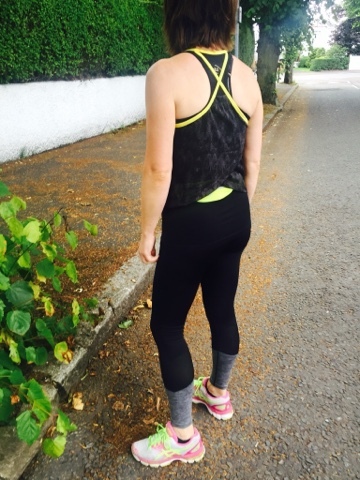 The Back to Fitness Top is designed to meet the needs of anyone who's just starting out on a fitness journey or getting back to it after a break or a baby. Or in my case - and I quote 'maybe you just like to have your cake and eat it?' - yep, that's me! 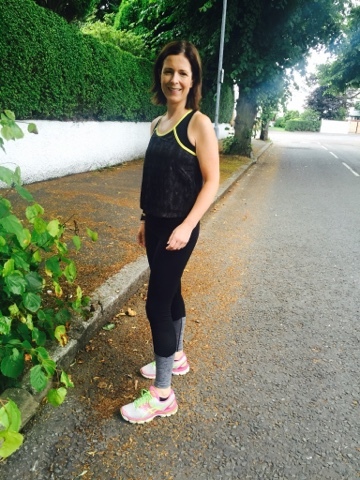 I really struggle with tighter tops when running or working out....I'm not overweight at all but I do have a wobbly twin tummy and I like my cake (and crisps) too much to ever have a six pack so this top has a longer length inner vest in soft, sweat-wicking fabric which holds you in and keeps you dry, whilst the lightweight overlayer gently covers your tummy and wraps around in a feminine crossover at the back. 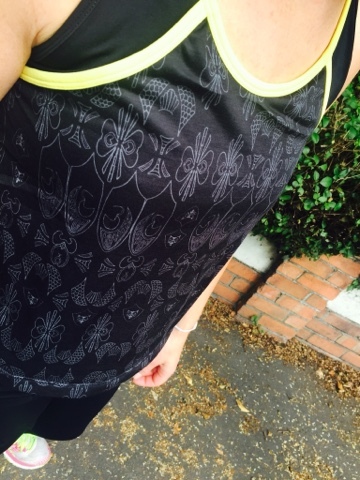 The website says it's perfect for anyone not confident about showing their tummy in a tight workout vest but wanting more style than a baggy T shirt and I would say it definitely ticks those boxes. As a long-bodied lass, if I was being picky, I would like the over layer to be a few inches longer but the under-layer was plenty long for me - reaching below hip-level. Again, I went for the S/M. If you are bigger in the bust, you might want to go for the M/L. It was tough and I did walk briefly once or twice but even at that, I managed a sub 30 minute time and I'll take that happily. 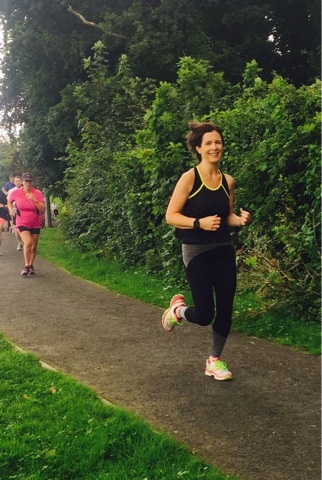 I've got a few more weeks of park running left before the hockey and rugby runs take over my Saturday mornings so I'm hoping to work back down to my PB in that time. 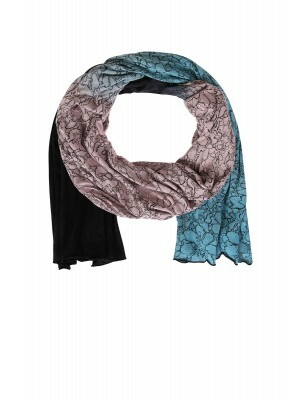 The great news is that Ilu are giving away 3 of these wraps on their Facebook Page so head over on this link if you fancy a chance of winning it. Before I go, just to let you know that I've popped my Snapchat cherry today after months of lurking and plucking up the courage. I have become such a fan of watching snaps from lots of other bloggers (I'll post about my favourites another time if you'd like that?) 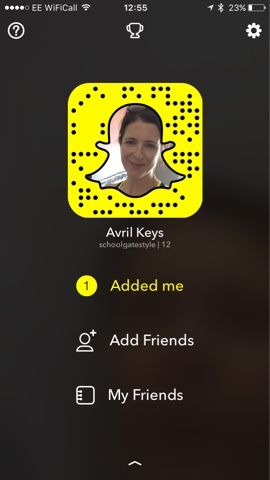 so I hope if you're on there, you'll enjoy my occasional snaps about what I'm wearing and getting up to. And if you're saying 'I'm not going there! !, please do - you'll love it AND you'll feel like you're down with the teenagers too...in a good way!